Hamilton City Council’s rejection of a proposal which would have resumed library access for Waikato District Council residents is disappointing, says Waikato District Council ward councillor and deputy mayor Dynes Fulton. At a closed session last Thursday, HCC turned down a $250,000 offer from WDC to re-establish library service and said it would initiate wider cross-boundary discussion with WDC. The Tamahere Recreation Reserve and Piazza project has not had a cost blow-out, says the Waikato District Council. The council has been moved to counter a media report that the budget for Tamahere Park has blown its budget with a $1.6m cost that was around four times the original plan. But the reported figures – dubbed “Monopoly money” by one councillor – are supplier quotes and cost estimates, not actual costs, the council said in a statement. 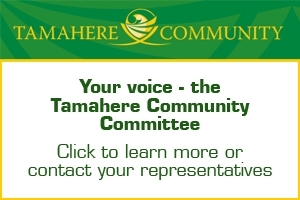 The Tamahere Community Centre annual meeting (AGM) is on 7.30pm, Thursday, October 25. 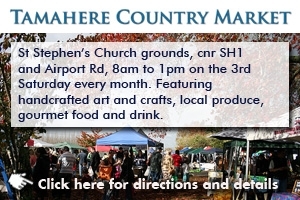 Now is the time to consider getting involved in the community and lending a hand with this valuable community facility. New committee members are welcome to join the committee where there are a number of roles available, including committee secretary. Locals are being urged to have their say on the speeds traffic can travel on the area’s roads, which have been found to be high-risk or that have been affected by rapid residential growth. Feedback can be given by making submissions on a Waikato District Council by-law.